When you sign up for iCloud, you automatically get 5GB of free storage. And that’s plenty of room, because of the way iCloud stores your content. Your purchased music, apps, books, and TV shows, as well as your Photo Stream, don’t count against your free storage. Since your mail, documents, Camera Roll, account information, settings, and other app data don’t use as much space, you’ll find that 5GB goes a long way. And if you need more storage, you can easily purchase a storage upgrade right from your device. The apps you use every day are ready for iCloud. 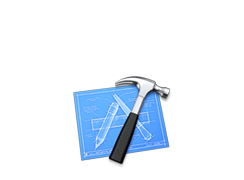 When you update your iPhone, iPad, or iPod touch to iOS 5, your favorite Apple apps become seamlessly integrated with iCloud. Just like that. So all your content and information is available and up to date, no matter which device you’re using. Download your music whenever and wherever you want it. Automatically download new photos to all your devices. View and edit the same document on whichever device you’re using. Your content. Stored, backed up, and with you wherever you are. iCloud keeps your info up to date, everywhere you need it. 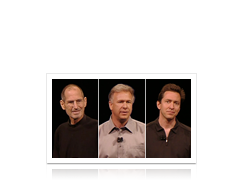 See OS X Lion, iOS 5, and iCloud unveiled at WWDC. 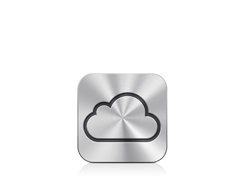 Get iCloud beta and start using its new storage APIs. Get over 200 new features for iPhone, iPad, and iPod touch. Sign up to be notified when iCloud is available. *Wi-Fi or other Internet connection required. Features are subject to change. Access to some services is limited to 10 devices. See www.apple.com/legal/itunes/ww/ for more information. 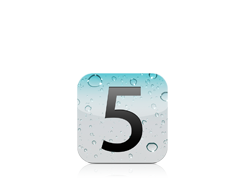 Some features of iCloud require iOS 5 on iPhone 3GS, iPhone 4, iPod touch (3rd and 4th generation), iPad, or iPad 2, or a Mac computer with OS X Lion or a PC with Windows Vista or Windows 7 (Outlook 2007 or 2010 recommended). Some music features of iCloud are available in beta now in the U.S. only and require iOS 4.3.3 on iPhone 3GS, iPhone 4 (GSM model), iPod touch (3rd and 4th generation), iPad, or iPad 2, or a Mac or PC with iTunes 10.3 or later. Download iTunes 10.4 free.